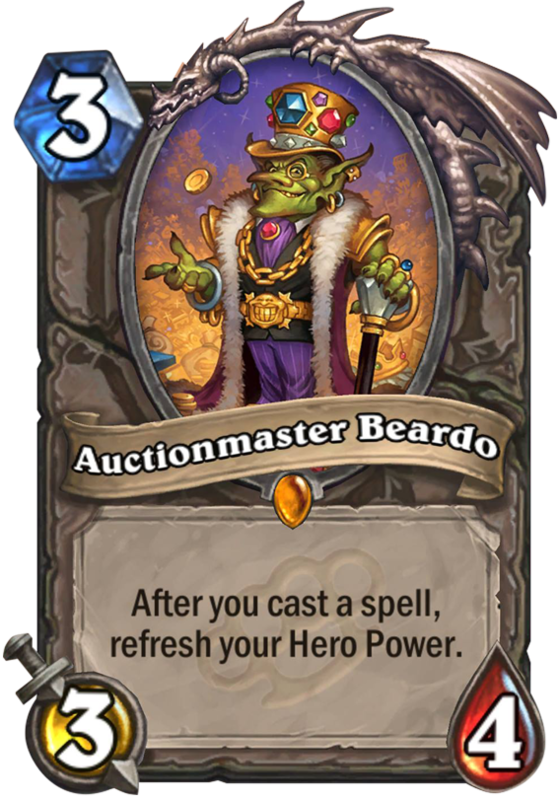 Auctionmaster Beardo is a 3 Mana Cost Legendary Neutral Minion card from the Mean Streets of Gadgetzan set! After you cast a spell, refresh your Hero Power. 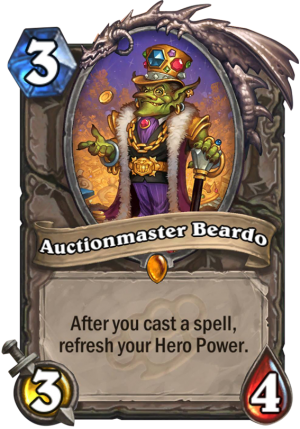 Gadgetzan has always run an under-the-table auction house, and business has been PRETTY good for Beardo since the population explosion. And since the explosion that destroyed the competing auction houses in the city. Rating: 2.5/5. From 1901 votes. I feel like this could be a good card in control warrior, especially if coupled with cheap removal with shield slam or revenge. Still very situational, but with Justicar rotating out fairly soon, I think in the first expansion of 2017 this could see some decent results. This card could be okay in Warrior. Maybe viable in shadow priest? Priest has a few cheap spells so it can work sometimes. garrison commander hasnt seen play in a while, this is kind of replacing him. 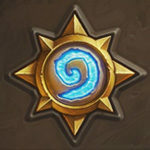 although majordomo or jaraxxus hero power sounds awesome with this. Justicar trueheart + auchanai priest and this? Flash heal and two hero powers for easy 13dmg, and thats only 5mana and one spell. 10 mana heal 4 hp and deal 24 dmg, could be even better with Thaurissan or spell dmg. 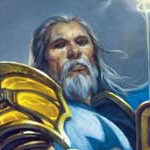 If no one was willing to play Garrison commmander, no one will be willing to play this. Im pretty sure its fake. I mean its toast. Poisoned Blade Rogue? Mana-refresh Inspire Druid? Oh no… Not… MAJORDOMU?!?!? 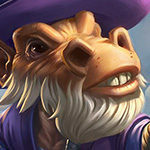 Oh I can only imagine… Think about it; you’re Druid/Ragnaros with a full 10 mana and Beardo on the field. Hero Power for 8. Moonfire for 1. Hero Power for another 8. Moonfire for 1. Hero Power for 8. Innervate. Hero Power. Innervate. Hero Power. 2x Raven Idol for a spell and hope you get another Innervate or two while weaving Hero Powers in with it. 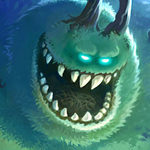 Even without getting Innervate from your Idols, you’re getting 6 x 8 = 48 random damage from your hero power alone. Well it’s not gonna be meta defining. But it’s certainly gonna be fun!